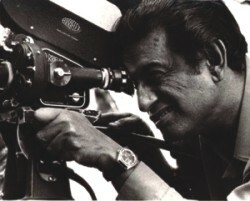 Celebrating his birth anniversary, which was on this May 2, many will remember Satyajit Ray's virtuosity as director, screenwriter, fiction writer, musician, publisher, illustrator, graphic designer and film critic but few people will talk about how one of S.Ray's creations was taken by Hollywood. There is a great deal of controversy over Steven Spielberg's blockbuster movie E.T. The Extra-terrestrial it is still alleged that it was in fact based on a script actually written by none other than Satyajit Ray himself which was originally titled “The Alien”! In 1962 S.Ray wrote a short Bengali science fiction story titled “Bankubabur Bandhu” which was published in the Ray family magazine, Sandesh. The story revolves around a spaceship that lands in a pond in some part of rural Bengal and the villagers begin worshiping it as a temple which they think had risen from the depth of the Earth. The alien, however, establishes contact with a young village lad named Haba through dreams and in the course of its short stay on the planet the alien also plays a number of harmless pranks on the village community. A few years later, during a meeting in London with the famous science fiction writer Arthur C Clarke, Ray casually depicted that storyline and in his own words shared “the germ of an idea I had for a sci-fi film”. Clarke, finding the plot fascinating talked to his friend and Sri Lanka based movie producer named Mike Wilson who took an avid interest and swiftly flew to Kolkata and accompanied S.Ray as the latter penned down the script of a potential blockbuster Hollywood hit. Ray and Co. went to Hollywood and by April, 1967 talks were on the table of studio giant Columbia Pictures co-producing the film which would star Peter Sellers as the lead and Marlon Brando as the second lead. It is important to mention here that by then the printed copy of S.Ray's script “The Alien” was available in studios of Hollywood. But few things started troubling S Ray; for starters he was immensely disturbed to find out that not only Mike Wilson exclusively copyrighted the script that S.Ray had written in both their names but had also appropriated his script fee, all behind the back of the great director. Besides the nasty politics and scheming of movie business: the Hollywood culture was having its toll on S.Ray's motivation for directing his first Hollywood movie. In 1968 S.Ray decided to abandon “The Alien” project for the time being and returned to Kolkata and started to pursue his other directorial interest stationed within his native place; however, he remained optimistic about this particular Hollywood venture of his. 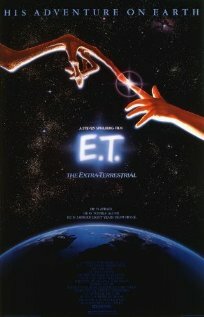 It wasn't until 1982; the year Spielberg's E.T. the Extraterrestrial got released that resurfaced “The Alien” endeavour into S.Ray's mind with terrible dismay towards Hollywood, unfortunately, once again. When E.T. was released the similarity with “The Alien” seemed more than mere coincidence to Satyajit Ray and many had the same opinion as well. Arther C. Clarke witnessed the similarities in E.T. which he reffered as “striking parallels” to Ray's script that was made for Hollywood and telephoned Ray in January 1983 and suggested to Ray that he contact Spielberg and point out the resemblances. But Satyajit Ray, the great man that he was, did not show any interest in pursuing the matter any further even though he was firmly convinced that his dear project “The Alien” was a victim of plagiarism. In his own words he told the Indian press that Spielberg's E.T “would not have been possible without my script of The Alien being available throughout America in mimeographed copies”. It must be mentioned here that E.T was co-produced by the same company (Columbia Pictures) that had contracted with Ray in 1967. Although S.Ray let the matter go and as for reason he explained, “Artists' have better things to do with their time.” Besides, he was very much aware of Spielberg's blatant denial on this particular regard. In 1982 when the issue was raised Spielberg told the press “I was in high school when his script was circulating in Hollywood”. Let's put this claim to a test. Spielberg graduated from Saratoga High School, California in 1965 which means that he was in fact already graduated from high school when S.Ray's script was circulating in Hollywood studios (1967) and by 1969 Spielberg was the youngest director ever to be signed up with a major Hollywood studio like Universal after the period when he began his career as a professional director after having a start as an unpaid, seven-day-a-week intern and guest of the editing department of the same studio in 1968. So these prove that Spielberg was in fact a graduate and regular Hollywood studios when S.Ray's script was available. The question remains then why Spielberg would falsify his position over the accusation like that if his creation (E.T.) was genuinely his very own? According to experts the most remarkable factor that resembles Spielberg's E.T. with S.Ray's “The Alien” is the characterisation of the alien being. 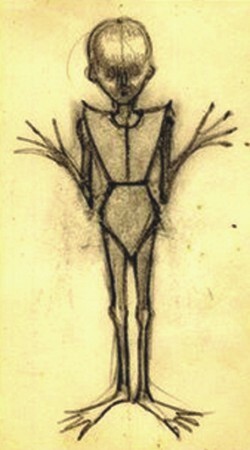 The Bengali maestro's portrayal of the alien being was of an intruder who according to S.Ray's own words, “the benign nature of the creature, and the fact that it is small and acceptable to children and possessed certain superhuman powers-not physical strength but other kinds of powers, particularly types of vision, and that it takes an interest in earthly things”. And this distinctive notion of alien was somewhat strikingly similar to that of E.T where Spielberg's alien being befriends little kids and involves in jovial naughtiness and means no harm to mankind during its stay. Aliens were never strangers in the world of Hollywood however their portrayal have always been somewhat as a violent species that come to earth with evil intentions and the end result is inevitable conflict between human race and the extra terrestrial beings. This always has been the case which still exists to day due to the genre's splendid illusory and guaranteed financial success. The question that many ask what would make Spielberg shift away from such customary path even when his close peers were making highly successful movies of these genre (Star Wars by George Lucas). Is it truly Spielberg's genius or the influence of a script written by S.Ray which sketched the alien and human contact in the likes that Hollywood have never seen before? Some also can't help but wonder why E.T. didn't enjoy a sequel like the other successful Spielberg projects namely Back to the Future and Jurassic Park. Here it is important to mention that Spielberg and his studio DreamWorks have been accused of plagiarism on several occasions which includes movies like Amistad, Chicken Run, Twister, What Lies Beneath and several others. E.T. is considered one of the best movies of all time and it is what made Steven Spielberg what he is today. Now, if E.T. is truly based on S.Ray's script “The Alien” (as it certainly appears to be) then the world needs to acknowledge this and surely a belated merit is in order to Satyajit Ray from the Hollywood community and especially from Steven Spielberg himself. In the following video, Mr. Satyajit Ray mentions the connection between his screenplay and the film E.T. Shame Hollywood ! Shame Spielberg.